What Makes Big 3 Consultants Different? 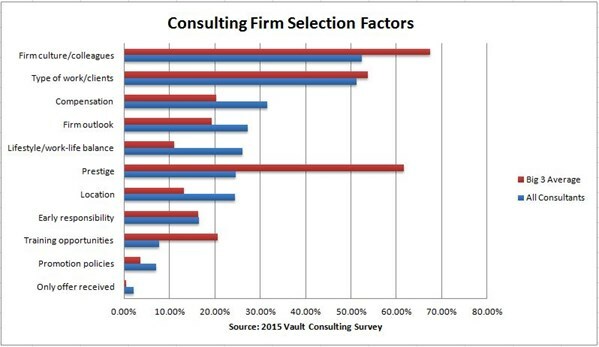 The question of why you would choose one firm over another as an employer is something that greatly interests us here at Vault—so much so, that we put the question into our annual consulting industry survey, so that we can find out what makes consultants tick. With the hard work of preparing and launching our 2016 survey out of the way (it opened for responses last week—if you're a practicing consultant and want to take it, feel free to get in touch, or contact an HR representative at your firm), I went back and took a look at the selection factor data from 2015, with one particular question in mind: is there any difference between consultants at the top firms, and those in the rest of the industry? As you'll see below, there most certainly is. When it comes to considering the "top" firms in the industry, I simply averaged the results from the traditional Big 3: McKinsey, BCG and Bain. As the 3 most prestigious outfits in the business, it's conceivable that the employees they hire would have different reasons for taking the job than consultants elsewhere in the industry. As graduates of the top business schools in the country, for example, one would assume that lack of others offers is not an issue, but that factors such as compensation or prestige may be more important for the average Big 3 employee. And they were, but not always as might be expected. 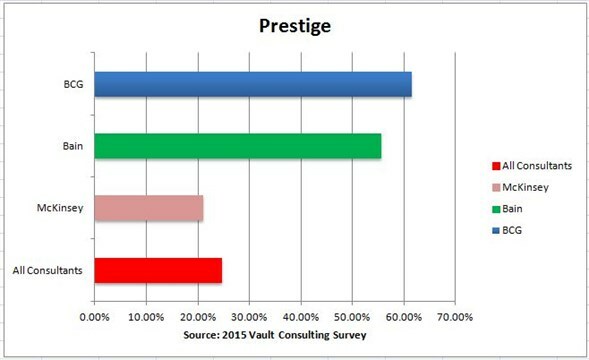 Yep: employees of the most prestigious consulting firm in the world (seriously—it's never not been top of our annual consulting prestige rankings) are less likely to list prestige as a consideration than either of their major competitors or consultants in the industry as a whole. 1) Maybe the firm does a great job of hiring humble, focused employees who only care about doing the best possible job they can for clients. 2) When you already know your firm is the top of the pile, maybe you rationalize other factors instead. (Or maybe it's something else entirely. Feel free to make your own suggestions in the comments below). Culture is obviously important to most people in consulting, but it's especially important to employees of the Big 3. More proof that, when you're at the top end of the hiring market, you can make choices that are about more than "they have a job and I need one." This one was a surprise to me when I first looked at the chart—"Really, employees of the top firms (who also happen to some of the best-paying firms) don't care about money?" 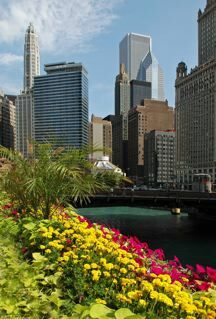 --until I thought about it from a different perspective. Just like with culture, if you know you're destined for a position with one of a handful of top firms, you're not really angling for a huge salary; the fact that you will be well compensated for your work is a given. Elsewhere in the industry, though, salaries can vary much more significantly, meaning that you're more likely to weigh comp as a consideration when choosing between mid-size firm A and giant professional services outfit B than between members of the Big 3, which tend to benchmark against one another. This wasn't necessarily a surprise, but it's still interesting to see such a clear representation of the situation: long hours and high levels of demand go with the territory in consulting. As such, they barely register as a concern for consultants at top firms. And so the verdict is clear: when you add all of those points together, there are obvious factors that set consultants at the Big 3 apart. As a group, they know where they're headed, and what they're prepared to do to get there; tales of long hours don't turn them off--they're simply seen as table stakes for those seeking an accelerated career path. Further evidence of that mindset can be seen in the extra attention paid to culture and to training opportunities: these are people who know right from the outset that they're going to be spending a lot of time with colleagues, and who want to wring as much value from their experience as they can. But whichever way it runs, it's clear that the consulting market is every bit as much of a pyramid as Maslow's famous hierarchy: the closer you are to the top of it, the greater your ability to look around, cast off your worries, and simply focus on being whoever it is you want to be.